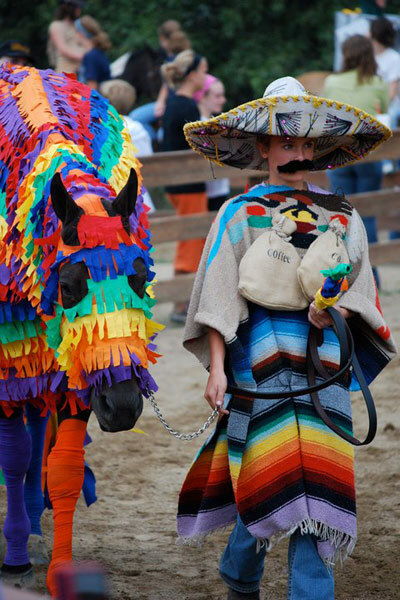 A few of our favorite submissions from the 2010 Horse Illustrated horse costume contest on Facebook. 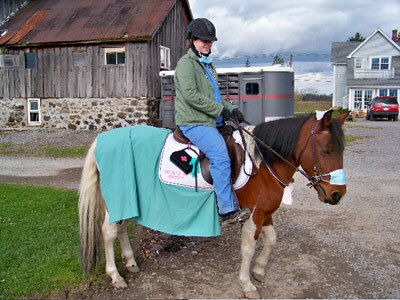 Some horse owners get really creative when it comes to outfitting their horses for Halloween or a costume class. 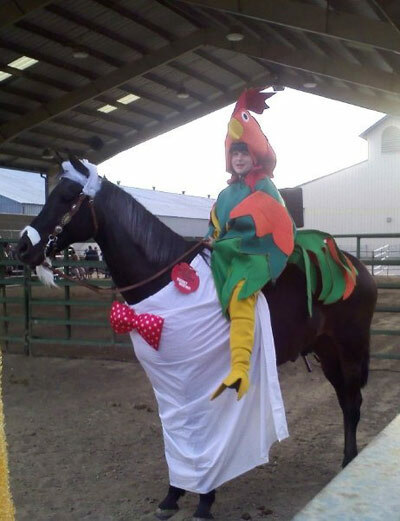 Members of Horse Illustrated’s Facebook community submitted their best costumes for our 2010 online costume contest. Lori submitted this photo of Tara Lawless and her piñata horse, Thumbs up for Luck. Lori won the Halloween-themed “Bats in the Belfry” Breyer model horse. 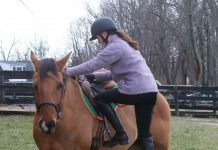 Sarah’s Paint gelding Rio is a SCUBA diving “sea horse.” Sarah won a pair of bell boots from Professional’s Choice. 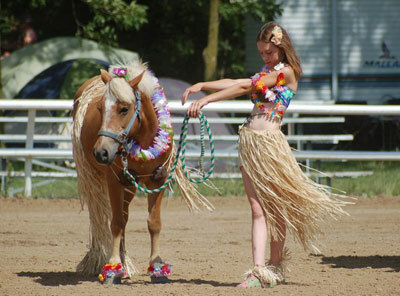 Janet’s daughter Kayla and Haflinger Sophie are an adorable pair of hula dancers. Janet won a pair of bell boots from Professional’s Choice. Amber dressed up as a chicken bravely riding the back of Colonel Sanders. Amber won a free, one-year subscription or renewal to Horse Illustrated. Judy and Chessie were the 4077th M*A*S*H Pony Unit. Judy won a free, one-year subscription or renewal to Horse Illustrated. Don’t miss out on future contests. Join our Facebook community. Previous articleBring Your Horse to School Day? Looks like it was a fun competition. Too bad it wasn’t on HC. I don’t have a facebook account. These are pictures of horses. THey are wearing costuemes for their display.